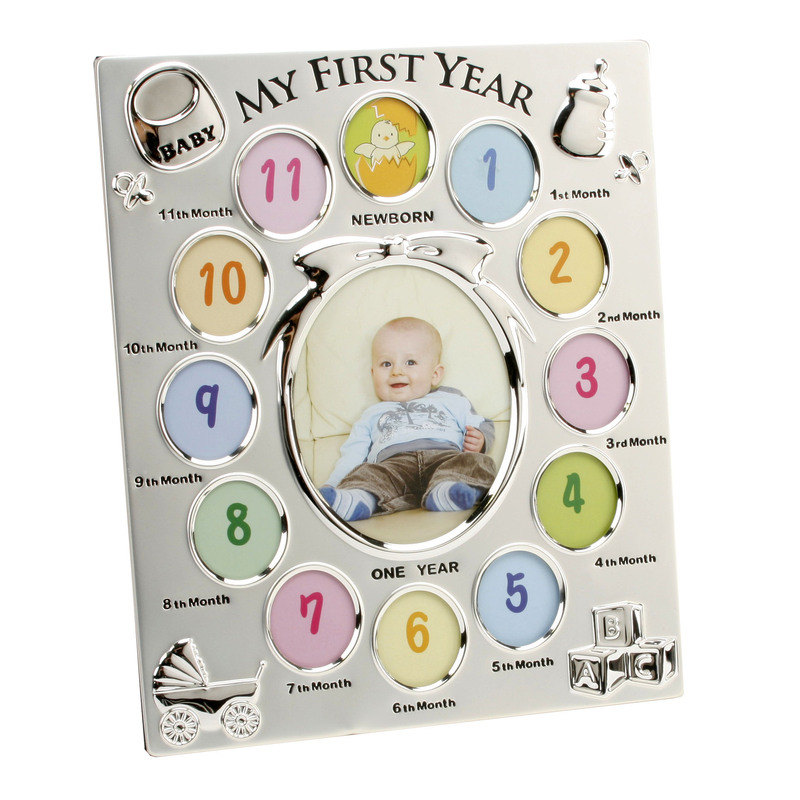 A Gorgeous partly silver plated Baby frame that holds 12 mini picture’s each 1 1/2″ and a central picture size 4 1/2″ x 3 1/2″. All the picture image’s surrounding’s are silver plated. 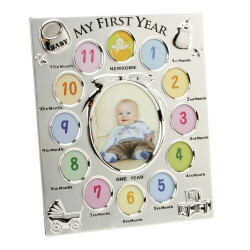 The baby frame has 4 silver plated icons on the 4 corners of the frame. The frame can be either wall hung or can be left standing as it comes with a stand attached. Makes a lovely gift for either a new born baby girl or boy as well as a First Birthday Gift.